Michigan’s first SMILE with astigmatism laser corrective eye surgery was scheduled for today at the Laser Eye Institute in Troy. Haddad performed Michigan’s first SMILE procedure for spherical myopia without astigmatism in March 2017. Prior to the approval of the process, only 20 percent of potential vision correction patients were candidates for SMILE. 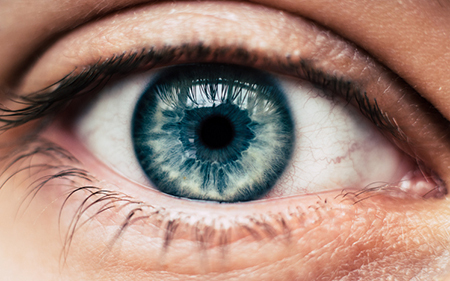 Now, it is estimated that more than 70 percent of all LASIK prospects will be eligible for the procedure. SMILE is a new form of laser vision correction that affords a quicker recovery, less discomfort, and may be a better alternative than LASIK for some patients. LASIK is used to correct vision in people who are nearsighted or have astigmatism and reduces a patient’s need for glasses or contact lenses by reshaping the surface of the eye using a laser. To aid in the healing process of LASIK surgery, a thin flap is created, lifted during the procedure, and placed back down. The new SMILE procedure takes place below the surface of the eye, allowing the surgeon to reshape the eye by creating a lenticule, a small disk-like sliver, and then removing the lenticule with a small side cut. In this method, there is no flap, so patients heal more quickly, feel less discomfort, have less weakening of the cornea, and can resume physical activity faster. More information about the procedure can be found at lasereyeinstitute.com.